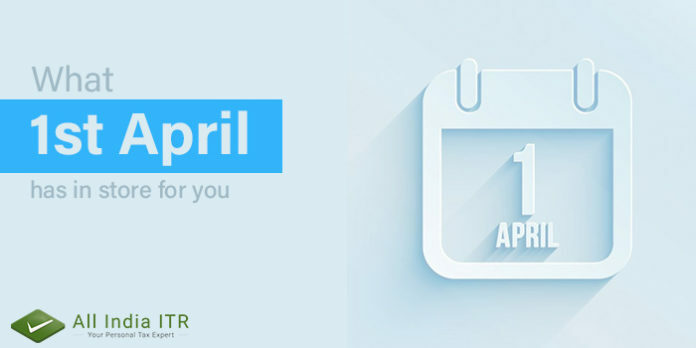 What 1st April has in store for you? There was no significant change in Tax Slab for the individuals and HUFs, as per Union Budget 2018, but it abolished Education, Secondary and Higher Education Cess that summed up to 3%. This cess was replaced by Health and Education Cess, that is supposed to be levied at 4% including surcharge. According to Budget 2018, standard deduction of up to Rs 40,000 can be claimed by an Individuals who are salaried employees from 1st April. This deduction will replace conveyance allowance that is Rs. 19,200 and medical reimbursements, that comes up to Rs. 15,000. The maximum benefit, which an individual will get from this change is Rs. 5,800. Currently, a deduction of Rs. 10,000 can be claimed under section 80TTA for the individuals with respect to the interest income from the deposit accounts held in any co-operative bank or Post Office. For Financial Year 2018-19, the interest income of up to Rs. 50,000 will be tax-free for senior citizens. Earlier, the deductions that a taxpayer could claim was Rs. 60,000 and Rs. 80,000 for critical illness of Senior citizens and Super Senior Citizens respectively. As per Budget 2018, from 1ST April, the taxpayers who fall under the category of Senior and Super Senior Citizens can claim a deduction of Rs. 1lakh for their medical expenditure. Earlier, the maximum deduction that a taxpayer could claim for the Health Insurance and Medical Expenditure was Rs. 30,000. For the current Financial Year, according to the Budget 2018 a senior citizen taxpayer can claim up to Rs. 50,000 for the above-mentioned expenditure. Next articleHow to generate GST E-way bill?